made an apple galette not long ago…delish! Glad the Twilight girl didn’t throw you off course this time. I think that mindfulness and being in the present moment are so important, whether it’s while baking a galette or dealing with life’s challenges (or disturbing news in the supermarket line). Thanks for putting it so entertainingly. 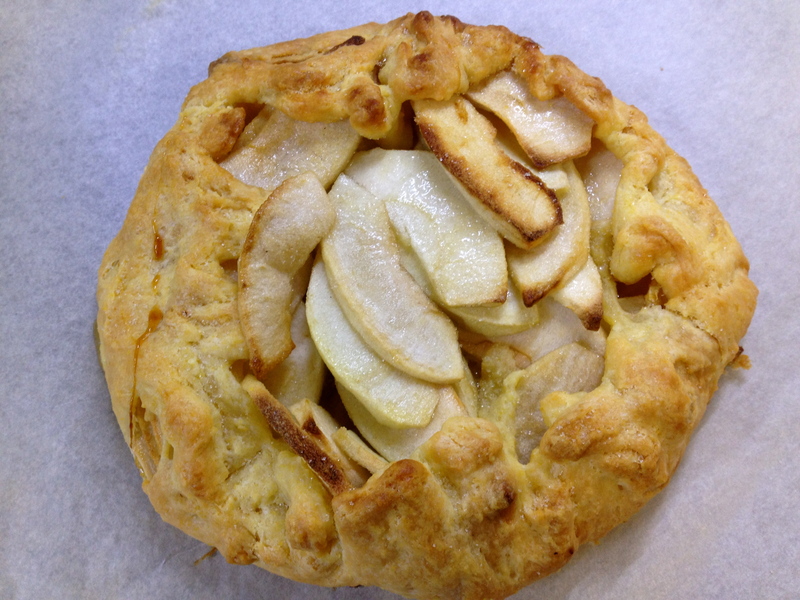 Your apple galette looks lovely – I’m looking forward to making one, once apples are in season here again. You were right to do apples, they always deliver! Lovely galette. Yum! My next galette will be with apples. Looks delicious! I’m glad you found happiness in this apple galette! It looks fantastic. Success is a beautiful thing! apples will be on in a month or two–can’t wait to try the apple version. My blueberry galette was excellent. Leftovers were just right for lunch today! Looks lovely. You can not go wrong with apple anything! I needed that happiness in the present moment reminder tonight – thank you! Your apple galette looks yummy! Reading your blog really helps: makes me smile and laugh! Thank you sooo much! And your galette is beautiful!